1. Free Studio This application offers a wide range of multimedia options, on a good interface as well and lets you control most of the option you need on your files, but most of the software included in it are tools that you probably will not use that much. The problem with this application, among others is that you get a pop-up with advertisement every once in a while. Guess nothing comes completely free. A good-looking interface, it lets you control the output properties of your video and it offers a very good performance. As you are working you will notice certain windows showing up every one in a while that will annoy you here and there and it only has support for Windows users. 2. 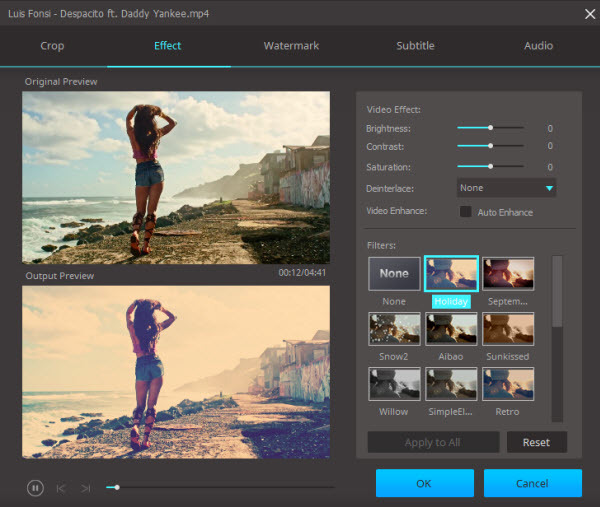 SUPER One of the most powerful free options available, this is an application that will let you control every parameter on the files you are converting. This is the Swiss knife of video converters. Supports for nearly any kind of video file, allowing complete control of your video properties and access to their full details. A complicated installation process, overwhelming amount of possibilities and one of the least friendly experiences for users. 3. Quick AVI Creator When simplicity is needed, this is one of the finest choices. Yes, it only supports major video formats (of course AVI is in the package), but in return you get an easy to use application with a few useful options. a simple application that will allow you to play with the most known file types in video with subtitle capabilities and a few more options. It will not allow you to do anything more than convert between a few types of video formats, do not expect any editing capabilities. 4. Any Video Converter Providing a good balance between user experience and usability, this application will allow you to manage your video conversion tasks with little effort, but once again windows asking you to upgrade to the paid version will be present as you work. A clean interface, a good amount of options to play with and an integrated video player for a quick look at your videos. It is not the best-looking application, advanced users will miss some options and finally, again we have an application that will interrupt you with occasional pop-ups inviting you to try the paid version, only available on Windows. 5. Pazera Free Audio Video Pack Another suite that bundles several programs for multimedia conversion and basic editing. However, it does not wear the user-friendliest experience available. Still, it is a very powerful package. You can also download every application independently in case you just want to convert between AVI and MP4. On each application you will find a large amount of settings. Not a very good looking application, not many option to work on AVI conversion and it is only available to Windows users. 6. Handbrake An option for both Windows, Mac and Linux users. However, it is very important to keep in mind that it will work for you if you are trying to convert from AVI to MP4 or MKV. Other than that, this a good looking, easy-to-use and lightweight application. A user-friendly application that you can use no matter what your operating system is with some interesting editing options. It will only support your conversions from AVI to MP4 or MKV. 7. Freemake Video Converter A user friendly application that responds well. With a simple design, it manages to do many of the tasks you will need when working with video files in several formats. Unfortunately, this software requires you to have .Net Framework installed, so it is not an option for Mac users, and even if you had Windows installed you need to make sure you have the right .Net version installed, otherwise wait for it to install (it is around 1 GB of space), too bad if you are in a bit of a rush. A simple interface, support for different types of files and a toolbox that will help you with most video conversion-related tasks. Net Framework needed so there is no support for Mac or PCs without it, it does not allow you to set details on the conversion format such as bitrate or frames per second and this impacts on the final file size on your videos. 8. EncodeHD When it comes to a tool you can use always on-the-go, this one goes one step further. It can be installed on a USB flashdrive, simply plug it to your computer and it will be ready to work. Quick and simple. A portable way to convert your video files, fast and simple. Simple comes at a price and in this case you don’t have much options to edit your videos or handle their properties. 9. iConvert So far we have reviewed some options that are not available for Mac users, except for the online converters that you can use as long as you have a browser and internet connection. This one will work exclusively for Apple users, it has a simple interface, all you need to do is drop the files you want to convert in it, select the output format needed and hit ‘convert’, as simple as that. A simple application that looks great on Mac, easy to use and offering very good results. You cannot convert multiple files at a time, it is not possible to change any settings for the final video and, basically there is nothing else you can do with this application. 10. Clone2Go Free Video Converter A clean interface and a couple extra features like an embedded player and Youtube video download capability. It is important to mention however to mention that it has good support for input but not that much for output, still you will be good to work with AVI video files and other popular formats or containers. A Mac version is available but not for free. An easy to use interface, handy video setting options and a couple of useful extras. Beware of being interrupted while converting your videos on the Windows free version. No free version is available for Mac users. 11. Miro Video Converter Another converter for Mac users, only this time PC users can have it as well. This is one of the options that you can install no matter what you operating system is, it even supports Linux. It can be used on Mac, PC or Linux distributions, with a good-looking interface and in a simple fashion. It is not possible to control any settings on the video formats, which are just a few, and once again you cannot do anything much more than just converting files. 12. DivX Converter Once it was an absolute need in case you wanted to enjoy a real video experience in your computer. Times change, but still we see the DivX video converter with some interesting features, but at the time you have some expertise level if you want to take the most out of this tool. A very good interface, great performance and options for advanced users. the installation process can be a little tricky and even after that, it can be a little overwhelming to find the right way to optimize your videos. 13. Totally Free Converter If you are looking for a converter that supports a good amount of video formats and combine them with several audio formats and do not care that much about how it looks, this is your best call. However, you have to be careful with the additional software trying to get in through the installation process. Support for a lot of video formats and audio options in a minimalistic interface. It will not allow you to play with video details and it tries to install undesired software along with it. 14. 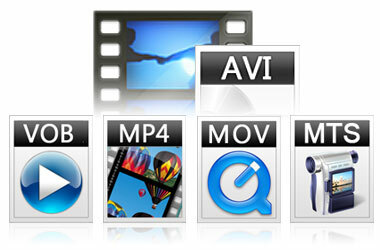 Any Video Converter Free This converter allows you to handle the basic types of video available, including AVI. The plus, like other tools we have seen is that it will also allow you to download and convert videos from the web in a very easy way. An easy to use interface, support for all major formats and the capability of downloading internet videos from sites like YouTube. You cannot control specific settings on you AVI output files or any other format, and it does not support other tools that are supposed to be on the program, such as DVD handling. 15. Convertfiles.com Today it is very easy to find video converters online with no need for installation; these online converters usually work when you need an immediate solution, but don not expect much from their results. This is one example of it, this online converter allows you to convert virtually any kind of file .doc files, .pdf files, presentations, images, audio, video… almost anything. However, say goodbye to any options for the output file, you just upload it, choose what you want to convert it into and that is all. You can convert almost anything as long as you have an internet connection, simply select the type of file that you need it converted into and you are good to go. Since this is an online converter you will want to have a good upload/download Internet speed (yes, you have to wait for your converted file to download), also you have no chance to personalize the output file and you can only convert one file at a time. 16. 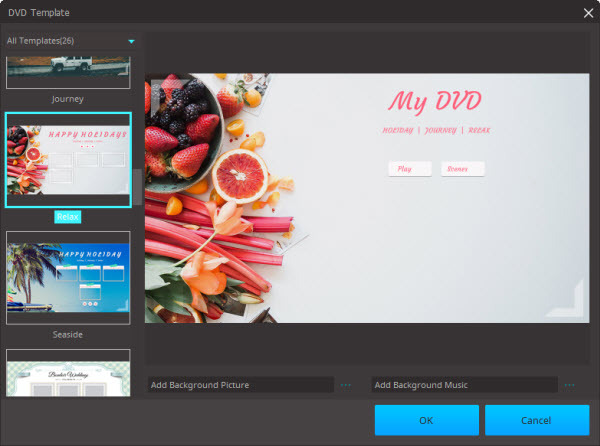 Quick Media Converter HD Including features like an integrated video player and Youtube support, this is a very good option for those who want a converter for a good number of formats and do not mind that much about a pretty user interface. Multiple tools available with some very useful features and great support. The general interface is one of the worse experiences available, not only for the looks of the application but because it can be very confusing due to all the possibilities it includes. 17. Online-convert.com Another option in online conversion, once again you can convert between multiple kinds of files, not only video. However, in this you will also have the chance to modify the settings for the output video file. It is also useful that you can add your converted files directly to your Dropbox account. A cleaner online converter, easy to use on a lightweight page that allows you to have some control over your converted files including support for one of the main services for online storage. Once again, you depend on the quality of your internet connection (if you have any) to upload the files (and download in case you do not want to link your Dropbox account). 18. Media Converter One of the simplest online services to convert videos, all you have to do is upload your video, select to which format are you converting it and downloading it. It allows you to convert video files in a simple way, with support for the most popular formats. Like other online converters, it will allow you to upload a video of a limited size, but also will also allow you use the service for 5 conversions in a day. 19. YouConvertIt Another online converter available, pretty similar to any other. However this one will allow you to enter an email address, or several of them in order to retrieve your converted video. The service is offered through a clean web page in three simple steps and it will allow you to receive your converted video file (or other types of files) in your email, or send it to other emails. As with other online converters it has a size limit for the files uploaded. 20. Free Video Converter And finally, one more tool for Mac users. Along with the other examples, you could say that Apple users have the most easy-to-use and simple tools. Just drag and drop your files, select how you want to convert them and that’s it. A simple to use interface and the possibility to use presets for formats. Do not expect great capabilities when it comes to editing your videos on many other options. As you can see there you will not have problems finding free or online solutions if you want to either import or export your videos into AVI. Yes, some of these tools you will find can be very useful for particular situations, but truth is all of them have missing features from one another. So we could hardly say that among these there is a winner that handles all capabilities. It shouldn’t matter whether you are a Mac or a PC user, you deserve to work with the best tool. Aimersoft Video Converter Ultimate (for Mac) has been thought to look and perform like no other software, perfectly integrating with you operative system. Its simple interface means an easy-to-use solution. But it is not all about the looks. Aimersoft Video Converter Ultimate will keep the best experience without bothering you with any kind of windows or pop-ups interfering with your work. Along with both great performance and looks, Aimersoft Video Converter Ultimate doesn’t sacrifice any option advanced users will possibly need when working with video files as it all of them at handy, right in the moment you need them. It can play video, transfer videos between DVD, mobile phones, tablets and media players, download any video you want from the internet. In a word, it aimed to provide you the ultimate video-edition experience. 1. Your first option is to click the Add Files button, located at the left top of the screen; this will allow you to locate in your computer the file you want to convert. 2. The second option is much easier, you just have to take your file, click on it and drag it to the center of the Aimersoft Video Converter Ultimate screen. Pro tip: In both cases you can select multiple files at the same time so you can convert them simultaneously. It doesn’t matter if you are trying to convert from AVI or to AVI Aimersoft Video Converter Ultimate can handle it any way you need. Once you have opened your file(s), you will see a list containing every video you just selected, you can also rearrange the order of this list or even discard files. In this screen you will see the button ’Output Format’ and make sure it matches the one you wish. Pro tip: If you want to change a particular property on your video, just click the "Settings" button, located at the right side of format selection. We are almost done by now and in just three easy steps! Right now all you need to do is click the "Convert" button at the bottom-right of the screen. You will be able to see the progress of each conversion on the file list. Once the process is over, a pop-up notification will show up. Pro tip: 1. Before you are ready to convert, you can rearrange the order of the videos on the file list and even discard them. 2. At the bottom of the screen you will see an "Output (Folder)" button. Just click on it or in the "…" or "Other…" button and select the folder where you want all the converted files to be saved. There are no special techniques required when playing AVI video files on a Windows computer. Because Microsoft is the chief creator of AVI files, this format is considered native to all Windows machines. However, the same can’t be said for Macintosh computers and other operating systems. In order to play AVI files on those computers, a compatible media player or a certain codec has to be downloaded. However, there are many instances that even the Windows Media Player would have a hard time processing these files. There are times that the audio will play but the video won’t. If this is the kind of problem that you encounter when playing AVI files, then it could be an issue with the codecs. In many cases, upgrading to the latest Windows Media Player would solve the problem. But if it still doesn’t, try to download both the XviD and the DivX codecs so that the AVI will be played correctly. To play AVI with Windows Media Player, simply open the program and browse to the file on your computer. For Macintosh computers and other platforms, the most recommended way of playing AVI files is by downloading third-party players like the KMPlayer, VLC Player, and MPlayer. The VLC Player is compatible with Macintosh computers and can be downloaded for free. To play AVI files using this player, just open the program and click Open File under the Media tab. Select the file you want to play and it should start immediately. When downloading the VLC Player, be sure that you are getting the latest version. There is little setup required to play AVI files in your computer. However, not many users would like to go through any of these processes when other formats like the MP4 would play automatically. AVI is a file format but unlike most of them, this one actually works as a container. While some types of formats can only hold a certain amount and type of information, AVI files can keep audio and video and they allow a synchrony between them. AVI files do not require to be compressed to be created; they are the first step when creating a playable DVD. AVI files have been proved to be easy to use and create, yet they also lack of the highest quality and very often turn our files into a nightmare by turning them into extremely large files. Although they do come in handy sometimes, there are better solutions when it comes to saving video files. Although AVI files are quite popular and used on different platforms, it is more common for it to be played on Windows rather than other operating systems. Also, due to its large sizes many devices require special apps to reproduce this type of files and this is not always pleasant, especially if you are in a rush. Despite the advantages and limitations AVI has, they will surface depending exactly on which situations, devices or media are you planning to use it. However, you don’t need to be tied to any particular video type or container, and a tool like the Aimersoft Video Converter Ultimate will bypass any issues between the options that you have, allowing you to focus on an enjoyable experience. Compatibility: its popularity has lead AVI to be widely accepted (especially on Windows) and that makes it very often the best choice for keeping videos or TV shows. Edit: AVI files are compressed in a way that makes it easy for users to re-edit them and sometimes even improve its quality. Windows Movie Maker is one of the most common tools that allows this process. Synchronization: an AVI file is the easiest to work with when it comes to synchronizing audio with video and even adding subtitles. Size: AVI files tend to be very large files which are basically the main reason why they are usually converted to different formats. However, even if they are converted its quality will remain the same. Quality: even though AVI is one of the most common file formats for video, it still has some limitations. One of its main disadvantages is quality. It does not allow sound enhancement and it has a very limited picture resolution which does not make it the best choice when it comes to full screen or full motion videos.